"Specifically, poor visual-perceptual processing is one of the many characteristics of ASD. But it is a vital one, and it’s one way that optometrists can get involved. Indeed, ‘children with challenges in visual-spatial thinking are lost in space,’ Dr. Robinson said. Optometrists can help both in diagnosis of ASD – by looking for red flags – as well as in treatment. ‘We need you to help us,’ Dr. Robinson said, by providing treatment such as visual-spatial integration training, ‘and to teach other health care practitioners what to do about this.’"
Following optometric vision therapy, "Lily now reads 300 pages a day, in her free time; she puts down ‘reading’ as her favorite hobby; and she has a 95-average at Buist Academy with NO help from me on her homework! Prior to this, I’d been spending three to four hours each night, for many years, tutoring Lily,” Dr. Donovan shares with delight. Even though there is a wealth of optometric research which proves vision therapy works, as Dr. Donovan mentioned, there is false information in the medical community about vision therapy. This can be confusing for parents, especially when it comes from their child’s pediatrician. The Eides run the Eide Neurolearning Clinic in Edmonds, Washington, are authors of the popular book, The Mislabeled Child: How Understanding Your Child’s Unique Learning Style Can Open the Door to Success, and lecture throughout the U.S. and Canada to parents, educators, therapists, and doctors. Drs. Eides have published extensively in the fields of gifted education, learning disabilities, and twice exceptionalities such as giftedness and dyslexia, and served as consultants to the President's Council on Bioethics. "While not all children or adults with dyslexia have visual processing problems, many --at least two-thirds in some studies-- do. This makes sense from a neurological standpoint, because several of the structural neurological features associated with dyslexia appear to predispose to visual difficulties,” Dr. Brock Eide adds. "Not surprisingly, several types of visual difficulties are more common in dyslexic than non-dyslexic children. In one study of dyslexic children, just one type of visual problem, near-point convergence insufficiency, was present in 30-40% of the dyslexic children, compared to just 20% of controls. As can be seen from this control figure, visual processing problems are also quite common in non-dyslexic school-age children,” Eide continues. John B. Ferguson III, MD, an ophthalmologist who has been in practice for over 34 years, was not always a strong believer in vision therapy. When asked what made him change his mind, Dr. Ferguson shared, "Among ophthalmologists, vision therapy has been thought to be reserved for certain eye muscle disorders. I was unaware, and I believe many other ophthalmologists are also unaware, of the significant effects that these eye muscle disorders have on the attitude and behavior of some children. I thought that at the most these children, if left untreated, might experience headaches or read less efficiently. However, I had the opportunity to speak with children and the parents of children who went through vision therapy and I was very impressed by the dramatic and positive academic and behavioral changes they experienced." Children should be referred for a comprehensive eye exam whenever visual symptoms are noticed or if they are not achieving their potential. Many of these vision problems will not be detected during a school vision screening or limited vision assessment as part of a school physical or routine pediatric health evaluation. 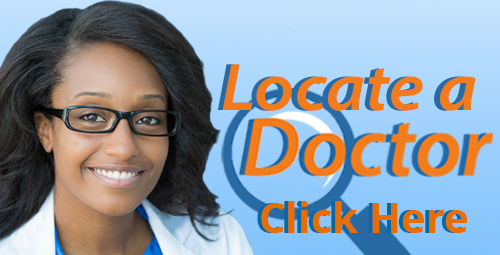 Locate a Doctor in your area who is experienced and knowledgeable in diagnosing and treating learning-related vision problems.